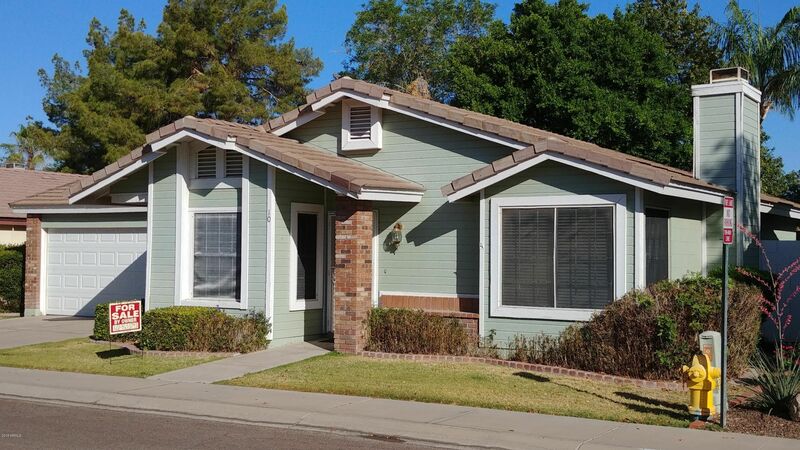 BACK ON THE MARKET: Inviting two bedroom, two full bath bungalow well placed in a cozy, secure development in the Alta Mesa neighborhood of Mesa. This unit has a large living room with big windows and a wood burning fireplace. The dining room is large and well lit, also with large windows. The tidy kitchen is well placed. SOLD AS IS.